Spring Break is most often associated with the annual debauchery college students partake in during their week-long break from spring semester studies. However, during this same time frame, thousands of school-age kids are also on vacation. Families of those kids are always looking for a place to go where they don’t have to have direct interaction with the college crowd. Luckily, Texas has several such family-oriented Spring Break outposts. Visitors crossing the causeway to Galveston Island will surely see the pyramids rising on the western side of the island. Those pyramids are just part of magnificent Moody Gardens. With attractions that include several aquariums, an IMAX theater, and even a rainforest, Moody Gardens is a must-see for Galveston visitors. Located in Glen Rose, the park features models of a 70-foot Apatosaurus and a 45-foot Tyrannosaurus Rex, as well as the Paluxy River, preserved dinosaur tracks and more. Dinosaur Valley State Park offers visitors a great opportunity to get outdoors and enjoy the pleasant spring weather. Located just outside San Antonio, Cascade Caverns offer visitors a look beneath the surface of the Texas Hill Country. The cavern stays 68 degrees year around, making it a perfect place to beat the summer heat, plus it features a 100-foot underground waterfall. This 1,700-acre wildlife center, located in Glen Rose, is dedicated to preserving and protecting endangered and threatened species. Visitors can view more than 1,000 animals from their own car or on guided tours. Located just north of Austin, Inner Space Cavern reveals relics from the Ice Age. Bones of Saber-Toothed Tigers, Mammoths and other Ice Age animals have been found in the cavern. Incorporating a natural cave formed by an earthquake along the Balcones Fault Line, Wonder World Park offers cave tours, educational earthquake programs, a wildlife park, train rides and many more activities for the whole family. Longhorn Caverns are a Hill Country wonder that has housed Comanche Indians, Confederate Soldiers and, perhaps, an outlaw or two. Today the site is a state park, offering a number of tours and educational programs. San Antonio's Six Flags Fiesta Texas offers the only "floorless" roller coaster in the southwest, plus over 100 rides, shows, a waterpark and more. Fiesta Texas is Texas' most popular theme park and is just opening for the season when spring break arrives. Schlitterbahn, one of Corpus’ newest attractions is located on the island portion of Corpus Christi. The fourth location in the Schlitterbahn Park chain across Texas, Schlitterbahn Corpus Christi is much more than just a water park. 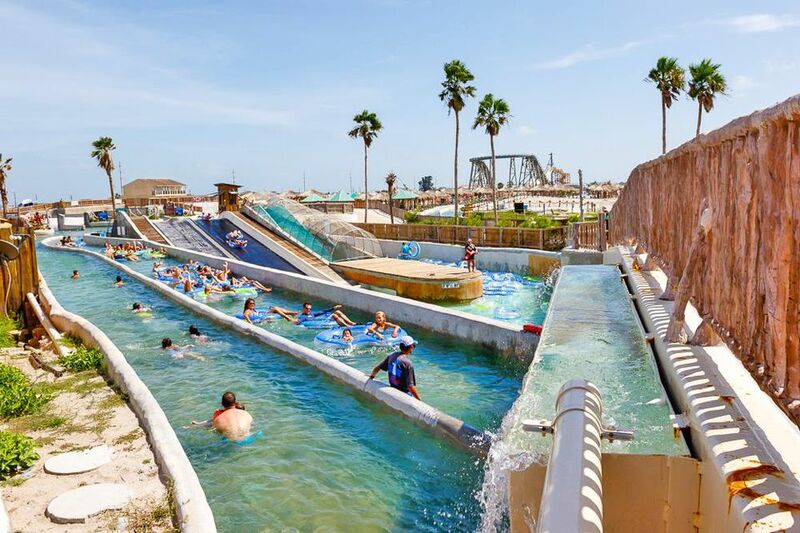 Schlitterbahn Corpus Christi features not only a ton of great rides but also a full-service hotel, the Veranda Restaurant, a golf club, and tennis courts, making it as close to an all-inclusive resort as can be found along the Texas Gulf Coast.